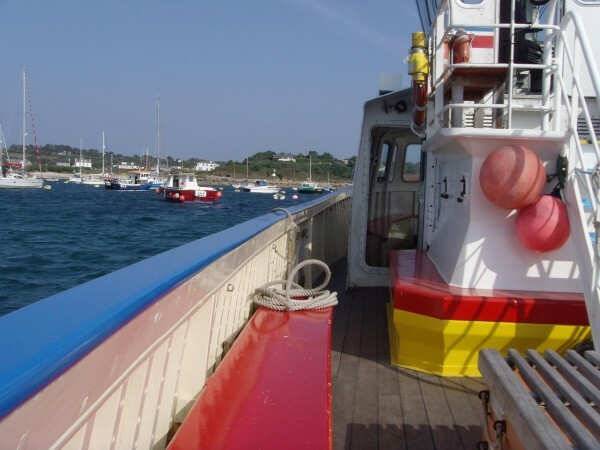 Built in 1997 by well known boat builder P. Martin on the Isles of Scilly. 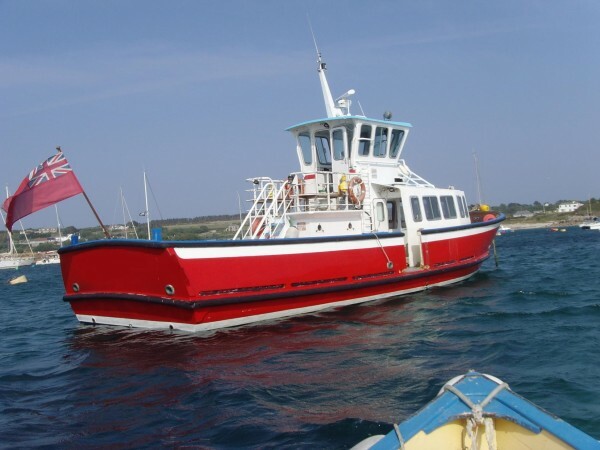 Used as a passenger vessel all year round for the first 7 years, since then she has operated in the summer season only. Passenger certificate for 93 plus 2 crew (50 + 2 on Class VI(A) licence. 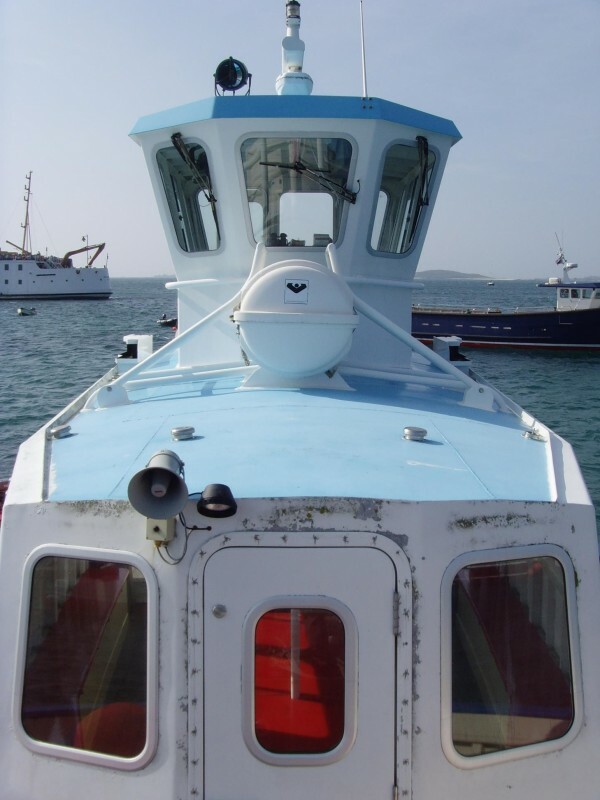 Could be increased back up to 100 passengers with a satisfactory lightship check . 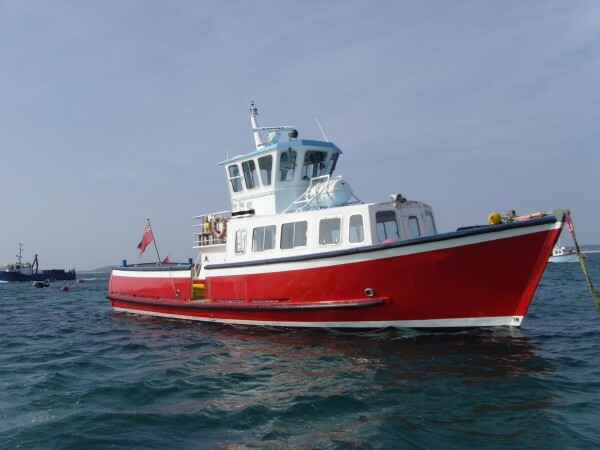 She has operated as a ferry on the inter island service and also as a sight seeing excursion vessel, being a very safe and stable platform in all weather conditions with extremely reliable Gardner power units. Planked in larch fastened with copper rivets to closely spaced steam bent oak timbers. 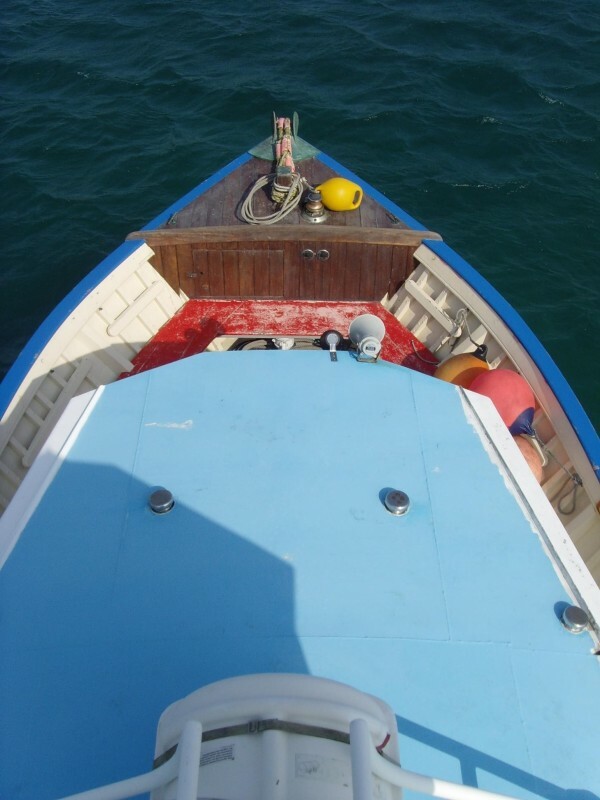 Occasional heavy weight sawn oak frames in futtocks making a very strong and robust hull. 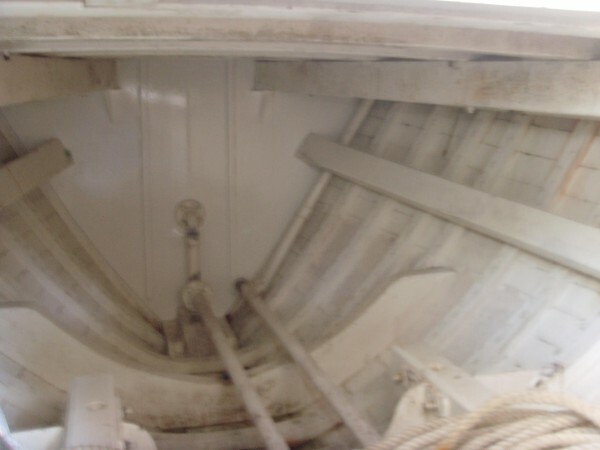 Galvanised steel hanging knees reinforcing the hull to deck join. Straight laid solid Iroko decks screw fastened to the deck beams. High bulwarks all round with intermittent metal stanchions for added strength. 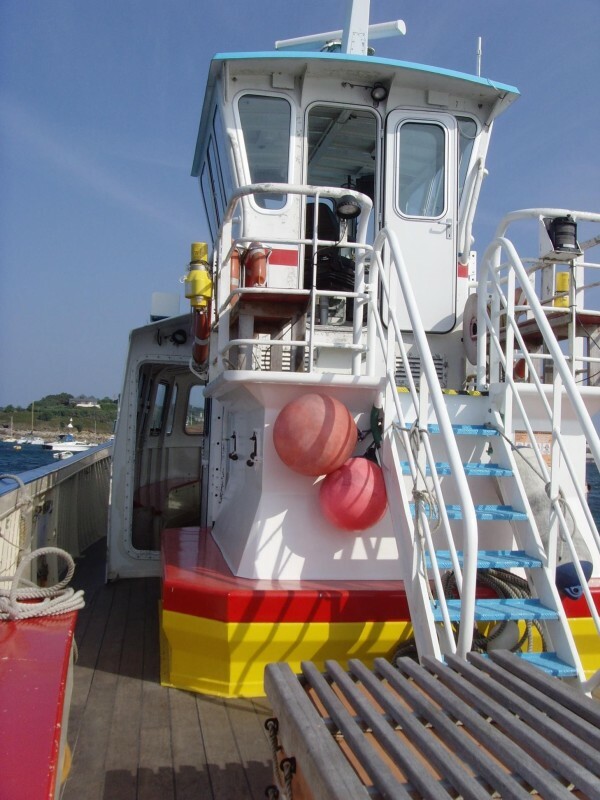 Aluminium superstructure giving sheltered seating for passengers with the wheelhouse mounted above. 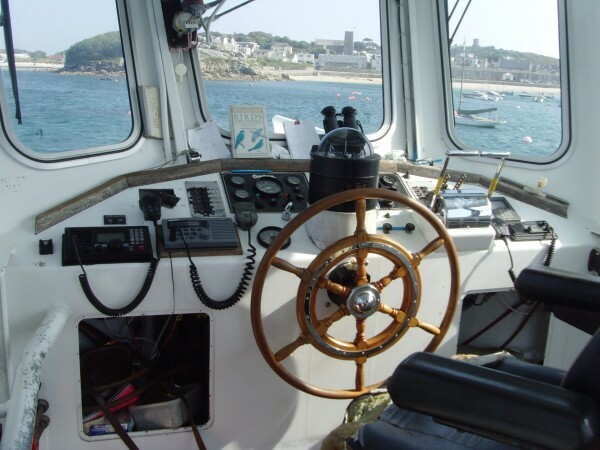 This layout gives excellent visibility for the helmsman and also makes the most of the available deck space. 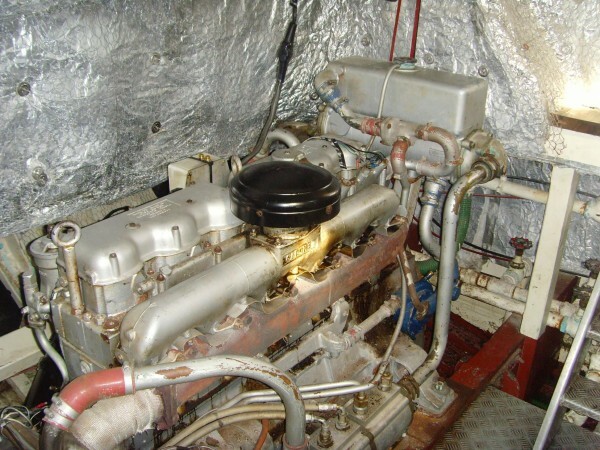 Twin Gardner 6LXB 175hp diesels installed new at the time of build. 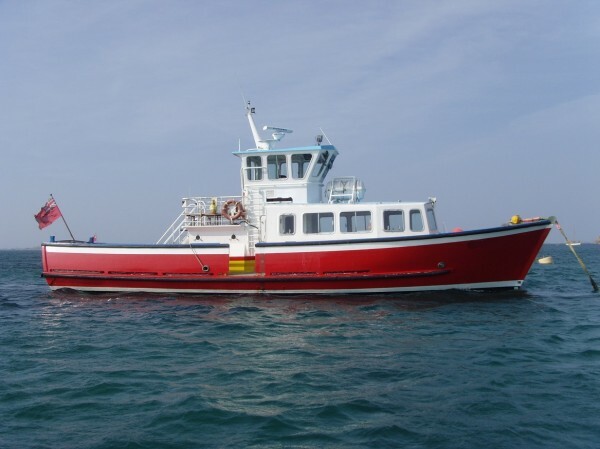 Excellent slow revving and economical engines, superb reliability and are also quiet when running which is important for a passenger boat. 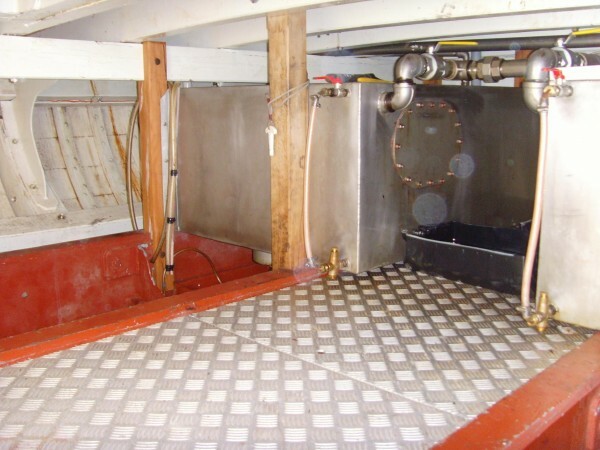 Twin disc 5061A down angle gearboxes to stainless steel shafts with 26” 4 blade bronze propellers. 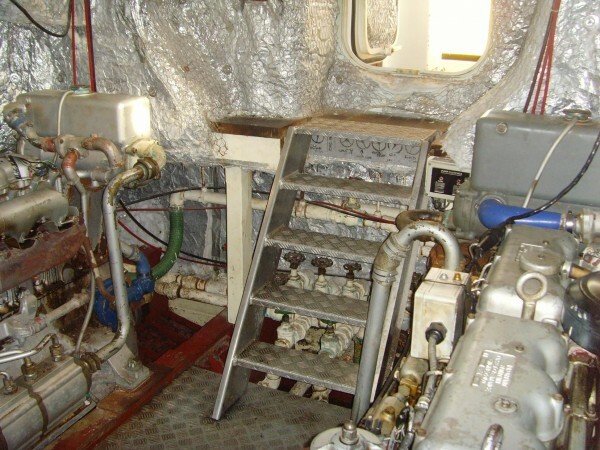 Each engine has a 1.5” Jabsco bilge/fire/deckwash pump with electro magnetic pump. Currently 15000 hours on the engines. 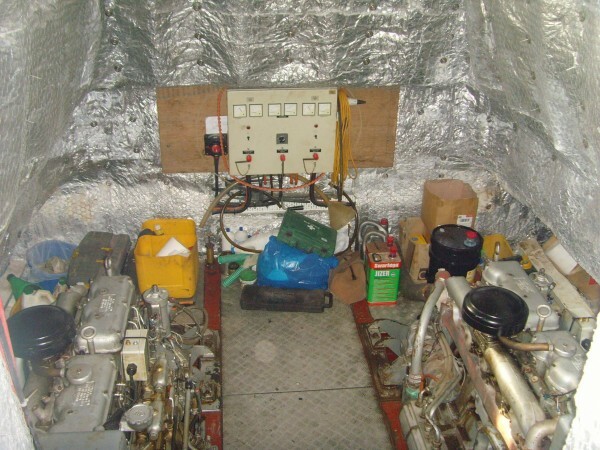 Complete maintenance records available.